At BICI ITALIA, we know that people look for different things in a vacation. As mentioned, our trips are truly custom and all-inclusive according to your specifications. Below are our base packages for a one-week stay. Our Completo or 'complete' tour includes extensive site seeing in the Siena area. This is our most popular trip as we take care of everything. Our other trips have the ability to 'add on' excursions at your request. Furthermore, we cater to cyclists and their non-cycling travel companions, so all packages include activities for all. Since some may like to bring their own bikes, bike rentals are not included in our package pricing, but can be arranged according to your specific needs. All pricing is per person. We also cater to cycling groups. See our BICI CON CLIENTI trips below. Complete custom trip hosted and led by BICI ITALIA. You tell us what your hobbies and interests are and we plan to your specifications. You want to see all there is to see and do all there is to do in addition to riding. We make it happen. Daily rides and daily excursions. Includes: 7 nights accommodation, all meals (breakfast, light lunch, dinner), transportation*, cycling guide, mechanical assistance, sight seeing admissions, authentic Tuscan cooking class, winery tour & tasting and other according your personalized itinerary. Your trip, your ride, your way. Spend a week just like Italians. Ride a little, relax a little, eat and drink a little. Visit towns and local sites with the idea of 'soaking up the culture' and finding hidden gems. Perhaps you've been to Italy and have already done 'the must see touristy' stuff or that's just not on your agenda. We will craft a trip in which you will master 'il bel far niente'. A mix of cycling, 'off the beaten path' excursions and relaxing down time. Includes: 7 nights accommodation, breakfast & dinners, transportation*, cycling guide, mechanical assistance and activities of your choosing. You just want to ride in Tuscany. We will lead you on some epic rides and provide great accommodations to include meals. After a morning or afternoon riding, you're on your own to explore and do as you like. Included: 7 nights accommodation, breakfasts & dinners, cycling guide and mechanical assistance. You want to plan your own trip. No problem! 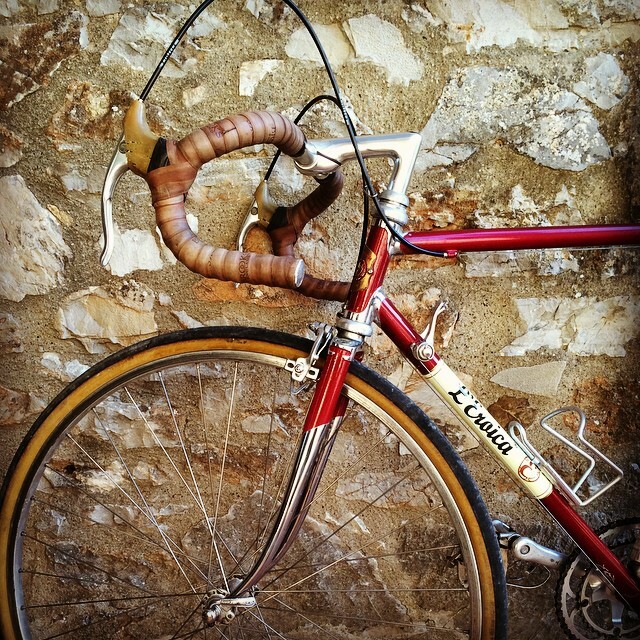 Stay in our prime location to cycle and visit Tuscany on your own time. Our accommodations are not only a perfect location, but you have your choice of an apartment with a kitchen or stand-alone room. You will enjoy our onsite restaurant, pool, enoteca, and can hire our sommelier and/or chef to provide tastings and cooking classes. We will set you up with a room and let you craft your own trip. Cycling guide, mechanic and bike rentals onsite and available for additional fee. Must book direct through BICI ITALIA to receive best rates. Starting at USD 120 per night. For teams, bike shops and other cycling businesses that want a custom trip for their whole team. You rally the group together (6-10 people), tell us what you want to do and we plan it for you. Want special trip kits (made in Italy)? We got you covered. You want your clients to think YOU planned a trip of a lifetime? You got it (and the organizer's trip is on us). Private label marketing assistance including webpage available. For teams, bike shops and other cycling businesses (6-10 people) that want to be led on some great Tuscan rides, stay together at a great villa and enjoy some wonderful Italian meals. Accommodations, mechanical assistance, dinners/breakfasts included. Bike rentals and transportation can also be arranged for additional fee. On this trip, ride with us and spend your days however you like (and the organizer's trip is on us).